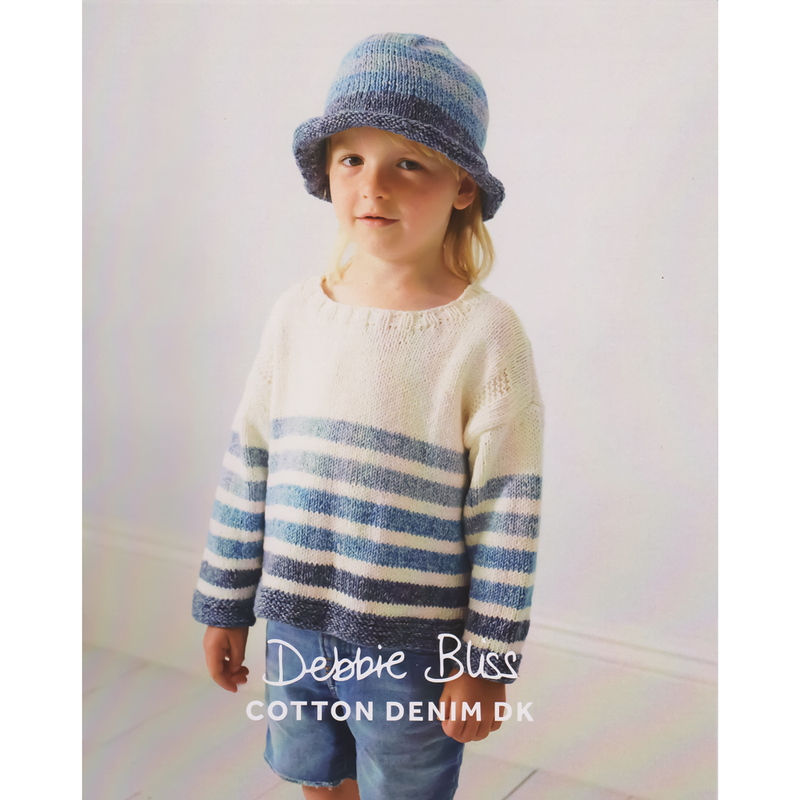 Adorable Striped Sweater for children 3-6 years, and Hat to fit 4 -8 years. Beautifully presented 8 page leaflet, filled with Debbie Bliss' renowned high quality images and printed on quality high-gsm paper. This leaflet was added to our range on 13th October, 2017.